So many people carrying things from one place to another place. How do you get in on this ebike action? Couriers are the white blood cells of the city. They're actually more like cholesterol in that they seem to clog up the streets and they'll probably kill us all in the long run, but that's doing a disservice to how goddamn convenient they make life in the short-term. Mostly you know them from bringing you food, but they're willing to carry pretty much anything. We've covered one already. Here we're introducing a couple more apps that let you call a person who will transport just like, whatever, man! Set up is simple. In fact, the first screen you see after you open it is already the map with the pick-up and delivery addresses. To log-in, hit the little person in the top left, put in your phone number and receive a 4-digit code. Now you select the pickup address, input details like building or room number, your name and phone number. 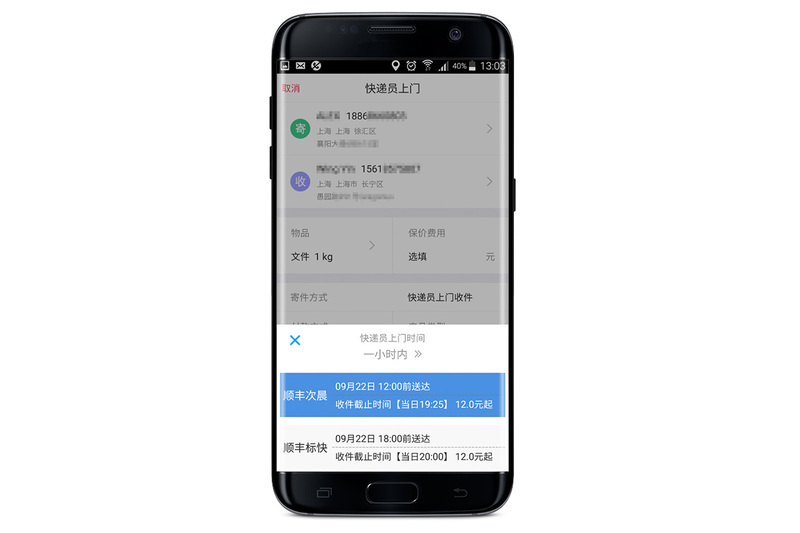 Same process for the delivery address. Note, there needs to be someone there to accept the package. You let the courier know what kind of package it is, and how much it weighs. Finally, payment. You're looking at, on average, a little over the price of a Didi. A Shansong courier accepted within a couple of minutes, arrived within 15 minutes, checked the code and then accepted the package with barely a second glance. And he was off! We had him deliver some random scraps of paper and a plastic bag to a coffee shop the next district over. The four kilometer trip took him 13 minutes door to door. Our confederate in the coffeeshop received a text message notifying them a package was sent and giving them a confirmation code, which the courier checked when they arrived. 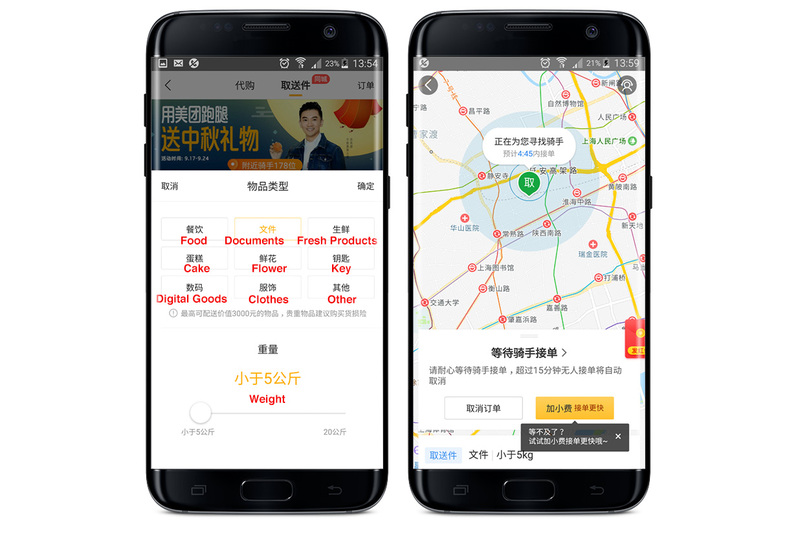 SF Express is the go-to for businesses, and probably the most widely-used courier service in China. 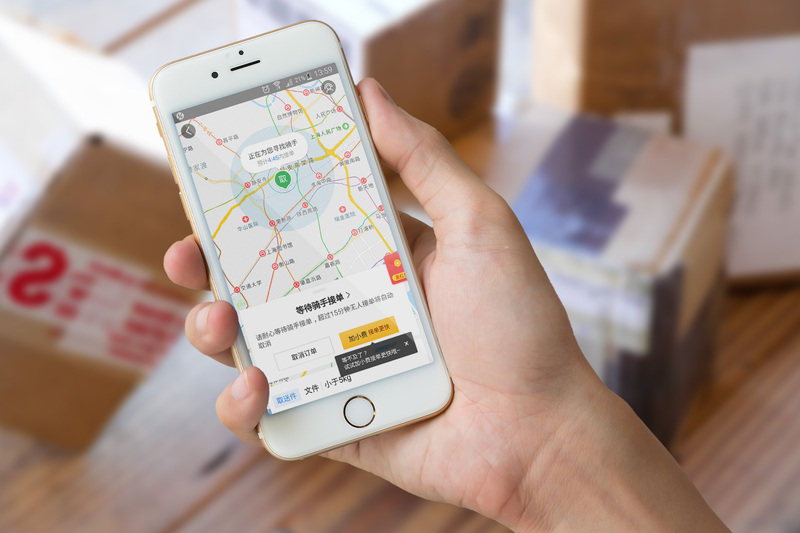 The company, founded in 1993 and based out of Shenzhen, is the second largest courier company in China, after the Post Office. Their couriers ride SF Express branded bikes, wear SF Express branded uniforms, and deliver SF Express branded envelopes. It's a brand experience. They're quick and efficient and they have dedicated account managers for business users. 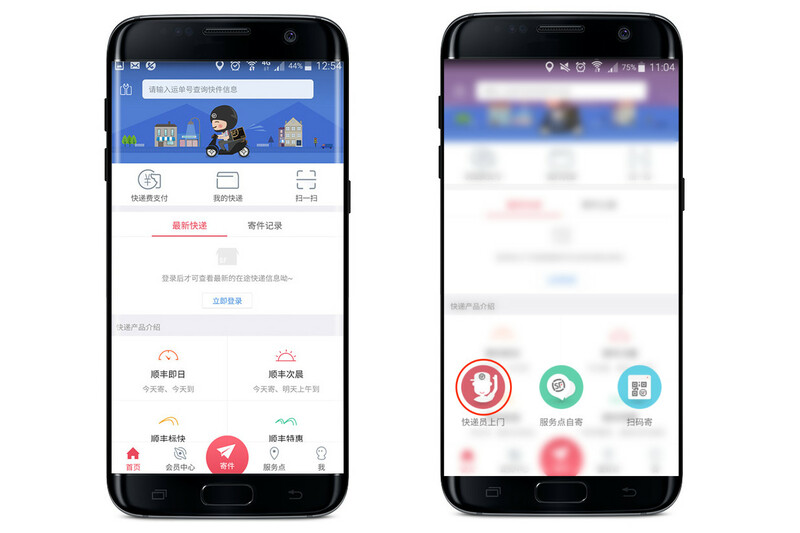 You can find the app by searching for 顺丰速运 on either the iOS or Android store(s). You might have to scroll way down if you just type in 顺丰. Once you've installed it, you'll be prompted to make an account with your phone number and set a password. You'll be taken to the main page. The button you want is the red paper-airplane at the bottom. Hitting that brings up three options; you want the one on the left, 快递员上门, ie. courier comes to pick up the package. 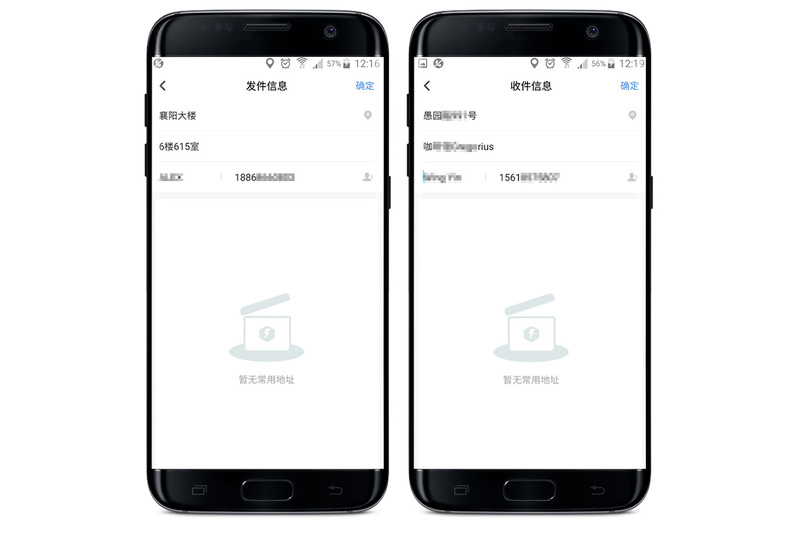 Inputting the info is straightforward: name, phone number, pick-up address (you can hit the icon to the right to choose locations close to you if your Location Sharing is on). Then recipient's name, phone number and delivery address (odd feature, it'll correct your selected district if the street you input isn't in that district. If it already knows, why make you select it?). Select package type and size, and then time slot. The only drawback we could find was that they have limited pick-up times, about two per day. It was earliest next-day in my case. So it's too staid and professional for panicked, last-minute "I need to get this USB stick full of SyFy Original shows to my hungover cat" deliveries, but if I were regularly couriering important documents or something like a passport, I'd go with SF Express for the security and reliability. And branded envelopes! There's also Meituan. 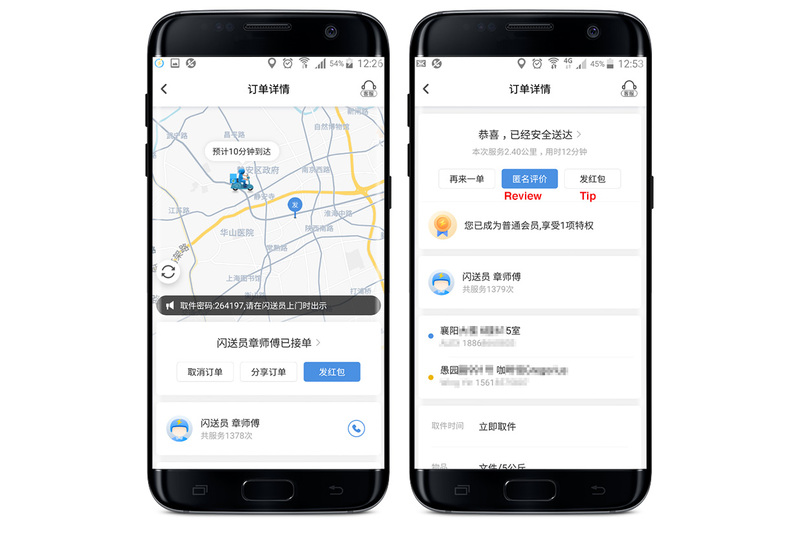 Perhaps better known for waimai and its Didi competitor Meituan Dache, they also do courier service. 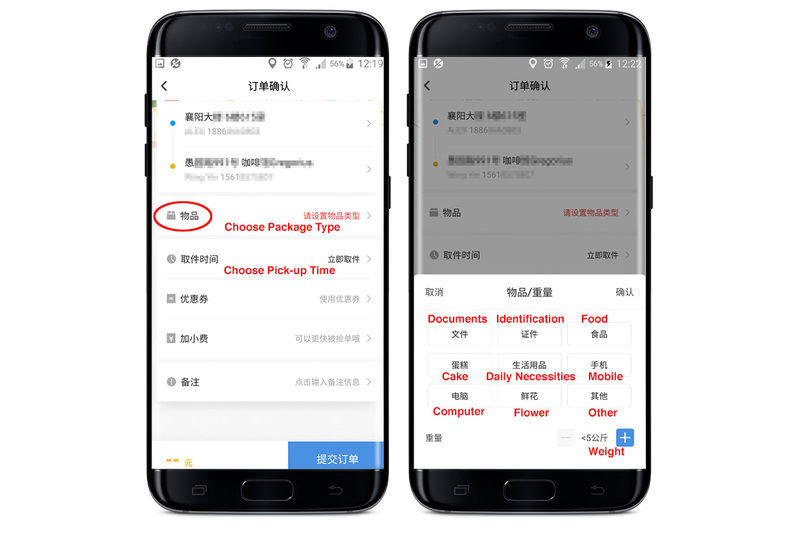 It's available in the regular Meituan app; you just have to select the 跑腿 option, then press the middle option (circled) at the top. 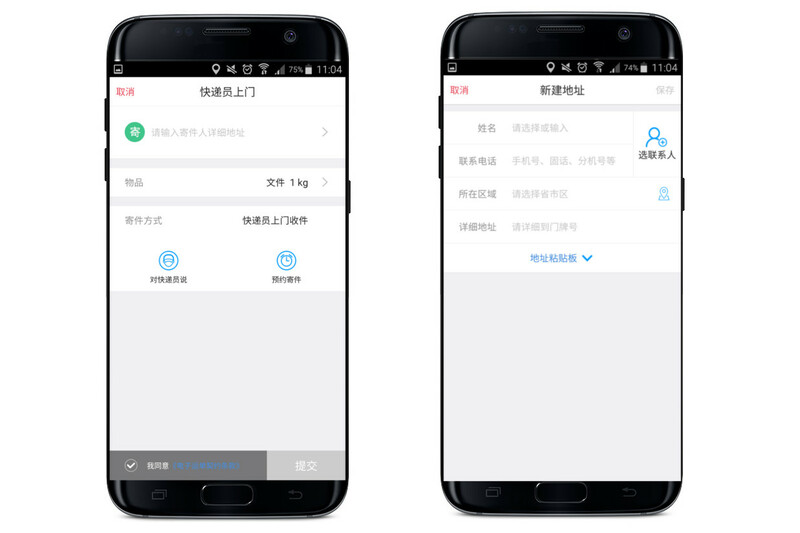 The sign-up and login process was essentially identical to Shansong. Anecdotally, this service is fine. They aren't being valued at USD 55 billion for nothing, you know. However, personal experience here, we called a courier for the same delivery route and sat and waited for like 20 minutes with no courier picking it up. 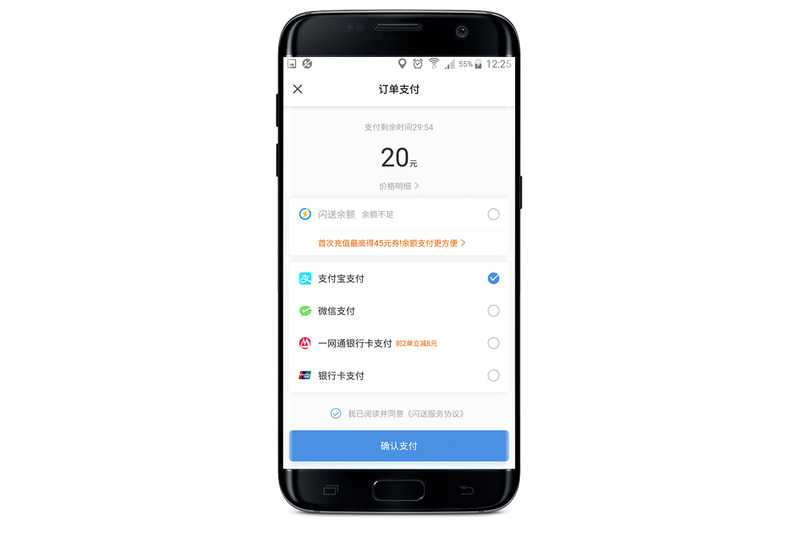 We even enabled the plutocracy by dropping a 20rmb tip. Still no joy. 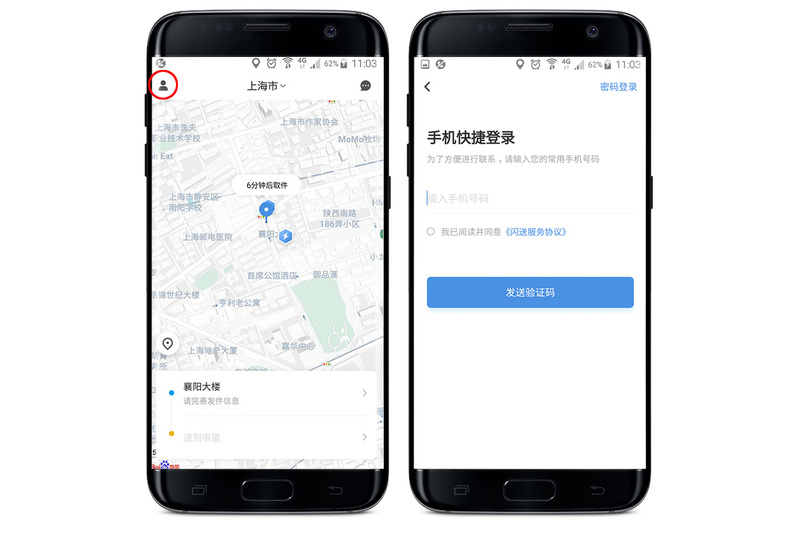 Maybe you'll have better luck convincing a Meituan Dache driver. 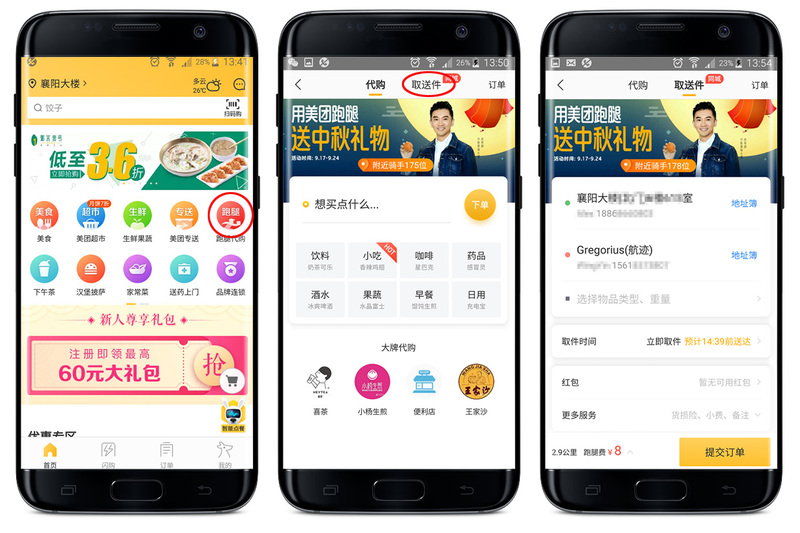 SF and most kuaidi services exist in the wechat ecosystem, no need to download another app.